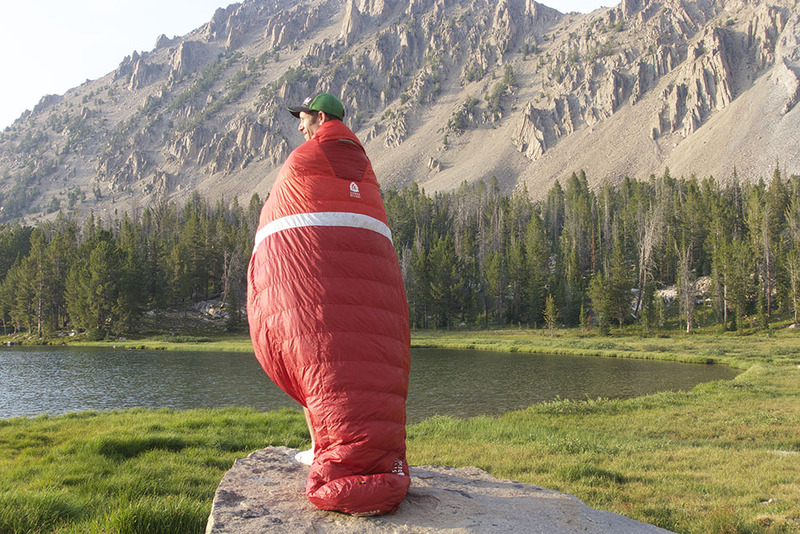 Sierra Designs disrupts the quilt market with its new hooded offering. Quilts are nothing new. Lighter, cheaper, and nearly fail-safe, the zipperless down throws have become synonymous with fast-and-light endeavors. But all quilts have the same hitch: They don’t have hoods. Some companies advise consumers to “bring a hooded down jacket or cap” (which works). 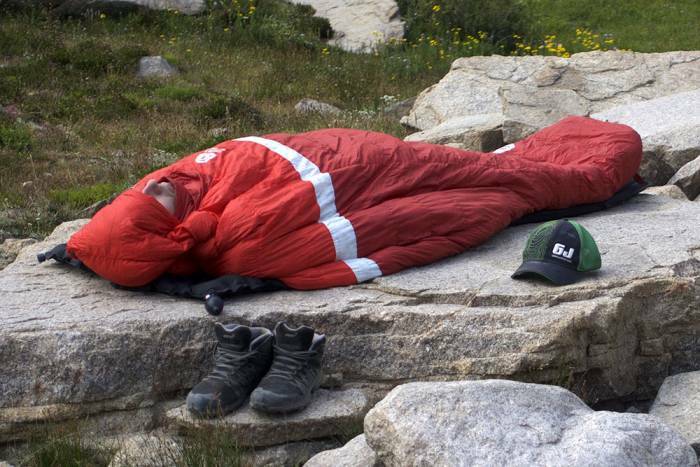 Others, like Katabatic Gear, sell an aftermarket down hood that you can strap under your arms and pair with a quilt. And because a quilt lays over you and not around you, adding a hood never seemed like a viable solution. That is, until Sierra Designs put its design team on it. The Sierra Designs Backcountry Quilt (BCQ) has a roomy foot box and ginormous “manta-ray wings” that you can hug around your torso to tuck yourself in for the night. At the tip of each wing sits a pocket fold, meant to tuck your hands into. The most unique part of the BCQ is the hideaway hood integrated into the front of the quilt. On warm nights, simply throw the quilt over your body. If the mercury drops, you can pull the quilt over your head, tuck it into the integrated hood, and keep your head warm for little-to-no extra weight penalty. The BCQ comes in size large only, fitting campers up to 6’4″. 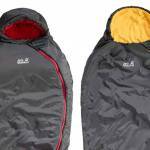 The brand offers it in two temperature ratings: 35 degrees F as well as 20 degrees F with 5 ounces of overstuffed down. A lot of considerations factor into a good night’s sleep in the woods. Nutrition, hydration, elevation, insulation — it all matters. 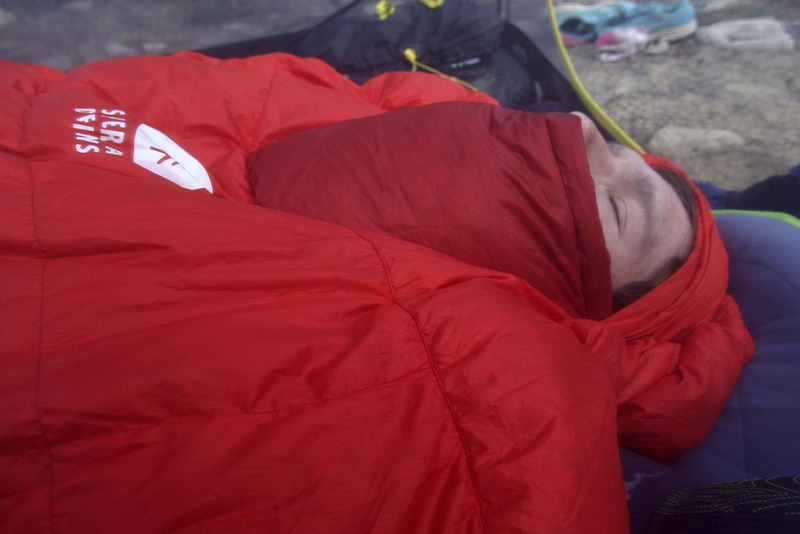 Because it’s a quilt with only a top side, it’s essential that you pair the BCQ with a sleeping pad. 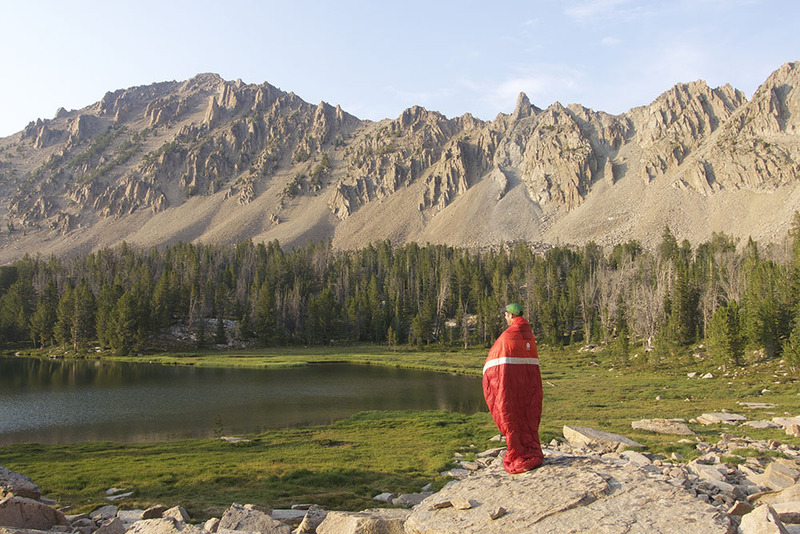 We used the BCQ 20 with an ultralight inflatable camp pad inside a three-season tent while backpacking high in the Idaho White Clouds and Sawtooths. At the other end of the spectrum, we tossed the BCQ 20 in the back of the truck and brought it along for a week of car camping with a plug-in inflatable mattress and espresso maker. In milder conditions, the BCQ works like a duvet. Tuck your legs in the foot box (or not) and drape the large wings over your body for just-like-home bedding. What your comforter at home can’t do, though, is pack up small and tight in your 40-liter pack and come with you deep into the mountains for a weekend of backpacking. The 700-fill DriDown is moderate by today’s über-lofty down standards, with the highest creeping upwards of 1,000-fill. But it’s plenty compressible for most of us, and it keeps the price approachable for budget-minded three-season campers. When the sun sets and the temps drop, simply pull your head inside the top middle flap. The BCQ cradles your head and neck, preventing precious heat from escaping. Brilliant. As I mentioned, the wings have pockets you can tuck your hands into, allowing you to wrestle the quilt around you on cold nights. But because I’m a back sleeper, I found this addition unhelpful. I tucked the wings under my back and never ended up using the hand warmers. But side and belly sleepers will find this more useful. And if you like to hang out in the morning by the lake with the bag on your back, this might work for you too. Well, at least it lights up Instagram. Finally, the BCQ series comes in one size only, long (80 inches), fitting campers up to 6’4″. Usually, we’d recommend buying a bag that fits closely to you so you don’t expend extra energy heating up more space than you need. But because it’s a three-season comforter meant to tuck around you, this is a design we can live with. While the integrated hood is indeed a spectacular addition to the modern quilt, I found it to be an all-or-nothing solution. That is, you can’t loosely wear it for “sort of cold” or in between conditions. But the design accouterment has little weight penalty and offers you more flexibility than you’d have without it. 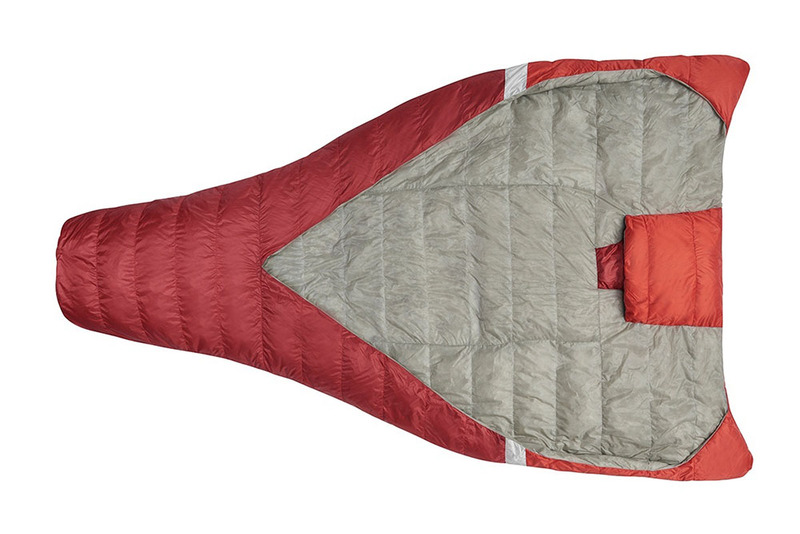 As such, the Backcountry Quilt has become my go-to bag for light-duty summer play.